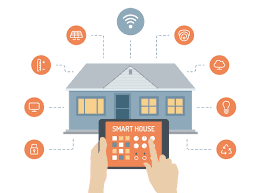 As much as we may try to avoid it, technology has become an integral part of our lives with most of us using some form of home technology on a daily basis. If you’ve got a problem, there’s a gadget for it. Some enhance the functionality of your current hardware, while others just complement it. Some of the most innovative technologies have just recently come onto the market over the past few years. 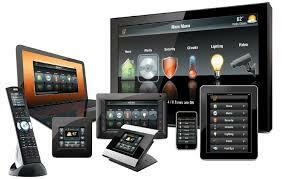 In this list, you will find the most popular new tech gadgets for home and personal use. From virtual reality to home management and everything in between. Slidenjoy Laptop Screen – The Slidenjoy laptop screen has recently received tons of attention and for good reason. The device consists of a flat panel that attaches to the back of your laptop using magnets. Then, you can slide out either one or two additional panels on the side of your laptop’s screen. With the additional screens, you can significantly improve your productivity by allowing you to view several things at once. The screens can turn 180 degrees so that you can easily share your screen. The screens come in three sizes: 13”, 15” and 17” and in its largest configuration weighs only about a ½ pound. The Slidenjoy offers a seriously cool solution for both personal and professional use. Amazon Firestick – Cable? What cable? To the dismay of several cable TV providers, streaming TV and the Amazon Firestick are two of the most popular products in home technology right now. Fire TV Stick gives users access to the entire Fire TV ecosystem, PLUS it has a voice controlled remote which allows users to also converse with Alexa. Access all your favorite shows and movies on Netflix, Hulu, HBO Now, Amazon Prime, and many others for much less of an investment than your current monthly cable bill. Starting at about $40, streaming TV may actually help put money back into your wallet. Spivo Stick – Everyone’s heard of a selfie stick but have you heard of the Spivo stick? The Spivo Stick not only allows users to attach a number of devices such as smartphones, digital cameras, and GoPros to the end for that perfect selfie, but it can also automatically swivel the camera’s point of view 180 degrees with just the press of a button for some amazing panoramic shots. SimpliSafe – SimpliSafe are the security systems of the future protecting your home using wireless technology. SimpliSafe is an affordable, full-featured wireless alarm system you can easily take with you whenever you decide to move. It’s linked to an emergency dispatch center. The product arrives pre-programmed and setup takes about 15 minutes. And best of all, it’s run from a user-friendly smartphone app. You can even keep track of areas in your home such as liquor cabinets, gun safes, medicine cabinets, file drawers and closets. And both smoke and gas sensors ensure your safety in the event of a fire or gas leak emergency. Phillips Hue Bulbs – While once upon a time, it used to be cool to clap to control your lights (anyone remember the clapper?). Now, home technology has improved so much that lights can be controlled simply by using the sound of your voice or a smartphone app. And you can even set automatic lighting timers and change the color of your lights when the mood strikes. The starter set is about $80 and includes three bulbs and a Hue hub which is everything you’ll need to smarten up any room in your house. TrakDot – This tool is perfect for the seasoned traveler. If you’ve ever lost a bag while traveling, you know how tedious and nerve-racking it is trying to get it back. Trakdot is a palm-sized luggage tracker. The tracker has a chip inside of it so you can be kept up to date on its location. When its within 30 feet of you, the Trakdot will send your iOS or Android phone an alert. Never lose a bag again! 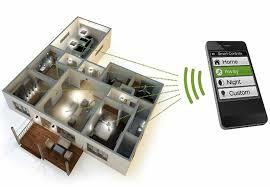 Tile Gen 2 Bluetooth Tracker – This home technology may be one of the most useful. If you’ve lost anything recently, then you know how frustrating that can be. Well, with Tile, that’s no longer a problem. Tile is a small adhesive Bluetooth tracker that can be attached to any item (keys, computer, camera, etc.). Tile can talk with (and remotely ring) your phone from over 100 feet away, telling you exactly where you left your item. Tile is also managed through a user-friendly smartphone app and lets you know when you may be missing a particular item. The potential time savings alone makes this gadget a must have. Samsung Virtual Reality Headset – “Back to the Future” technology is finally here. With the Samsung Gear VR headset you can play amazing games, watch your favorite movies in your own private cinema, socialize with friends, and so much more. The Gear VR headset drops you right into the action using your Samsung smartphone.